Sometimes, you just need another boat. 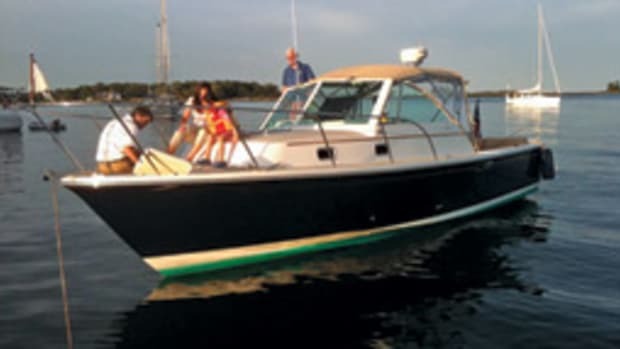 Brian Magner and his wife, Maureen, were happy with their 34-foot Boston Whaler, with overnight accommodations for themselves and their grown son and daughter. 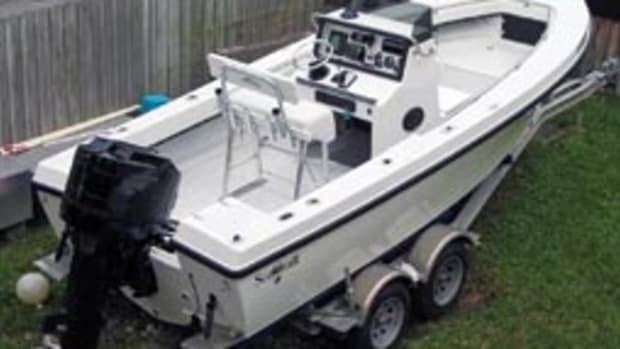 But for those days when you just want to hop in the boat and go wet a line for a few hours, they started to look for something smaller than the Whaler, something in the way of a 20-or-so-foot, twin-outboard center console — seaworthy, easy to use, economical and safe to run. Magner set his sights on finding a Southport, and as chance would have it, he found what he wanted close to home, almost in his own backyard. 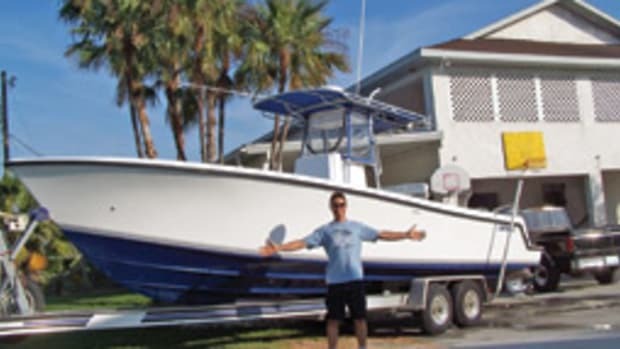 “I had been looking for three or four months, and I was bringing our 34 Boston Whaler Defiance in for winter storage when I noticed a 27-foot Southport center console,” he says. It was in near-perfect condition, and it was just the color he was looking for. 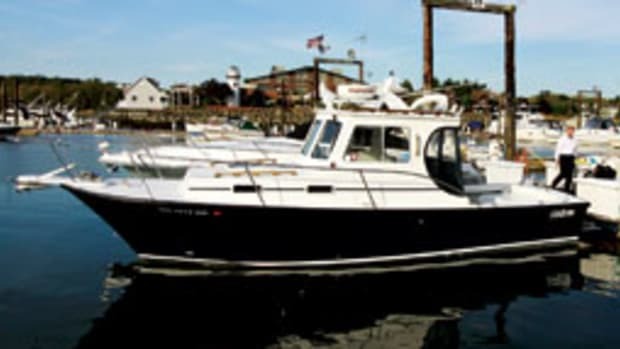 Magner bought the 2007 model through Boston Yacht Sales (www.bostonyacht.com) in February 2010 for around $90,000. “This Southport was beautiful, with a custom T-top with white powder coat on the rails,” he says. 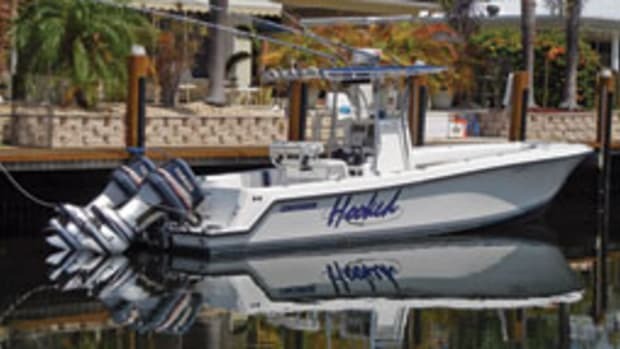 The hull is ice-blue, and power is a pair of 250-hp Yamaha outboards. The twin Yamahas give the boat a cruising speed of 34 mph (using a combined 14 gallons an hour) and a top end of more than 50 mph, according to Magner. “What else do you need?” he says. The Southport carries a full complement of new electronics, some for navigation, some for fishing. 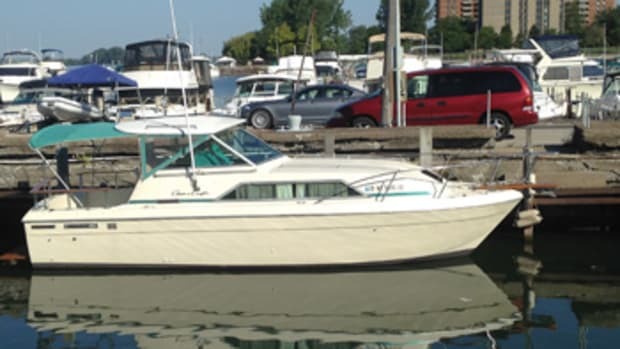 The setup includes a Raymarine E120 radar/chart plotter/fishfinder, a Raymarine X10 autopilot with ST70 color controller, and a Northstar plotter. 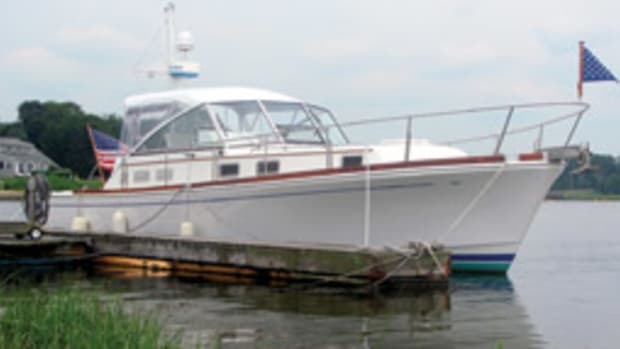 The boat also has a JBL MR-32 stereo and an Icom IC-M302 VHF. The Southport 27 rides the Hunt 4 hull, designed by C. Raymond Hunt Associates, that was developed “to utilize the weight of modern twin outboards to provide a soft and dry ride, stable platform, and easy handling,” according to the builder. It’s a deep-vee with a sharp entry, 30 degrees of deadrise around amidships and 22 degrees at the transom. The resin-infused hull is shaped to get the boat up on plane quickly, maintain plane at low speeds and run efficiently over a wide range of speeds. 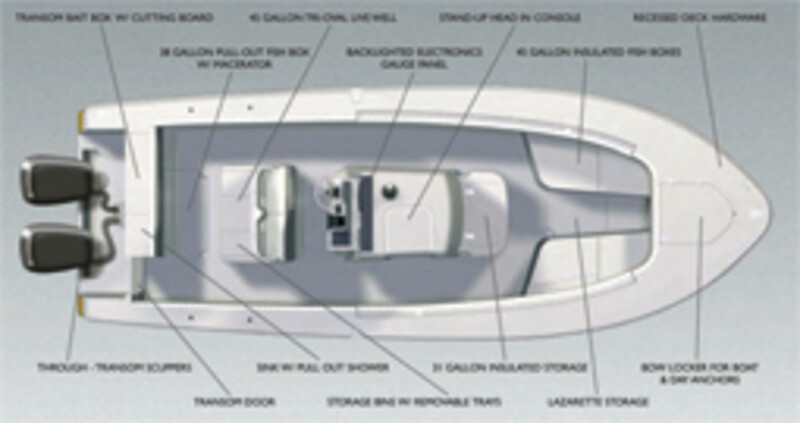 The boat is laid out with a center console helm station, with the helm offset slightly to port. There’s a bench seat that’s big enough for two overlooking a large dash with room for a full slate of electronics. Fishing gear includes a transom bait box and cutting board, a 38-gallon fishbox with macerator, a 43-gallon live well and a pair of 45-gallon fishboxes forward that double as seats. There’s a standup head in the console — served by a large hatch — and a cockpit sink with a pull-out shower. Storage includes a 31-gallon insulated cooler that doubles as a seat forward of the console, a forward lazarette and a bow locker. 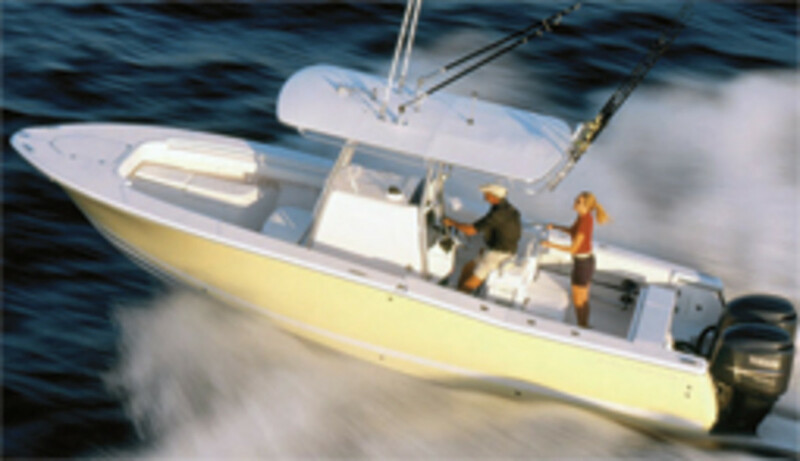 Southport Boats was founded in 2003 by a group of dedicated fishermen and powerboat racing enthusiasts whose intention was to build a series of seaworthy, efficient open fishing boats. They partnered with C. Raymond Hunt Associates to design deep-vee hulls suited to today’s twin-outboard setups. 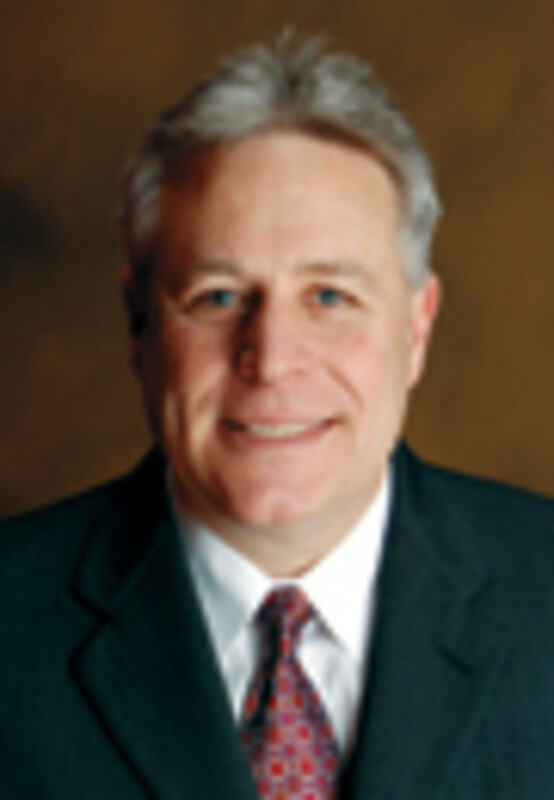 The company was purchased last year by the Kenway Corp., which also owns Maritime Marine, builder of the Maritime Skiff series, and Bristol Harbor Boats. Under the aegis of the Maritime Marine Group, headquartered in Augusta, Maine, the Southport lineup includes the 27 center console along with a 29 in tournament, express and center console configurations. 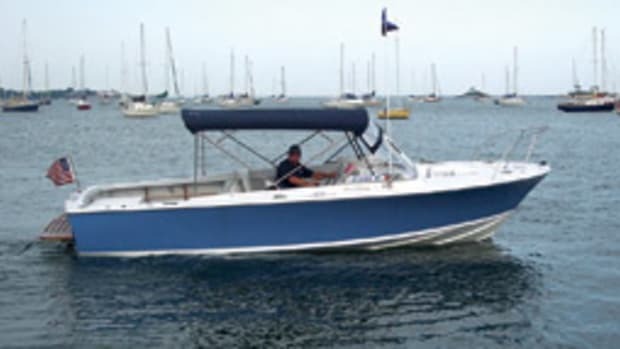 Click here to find more Southport Boats.